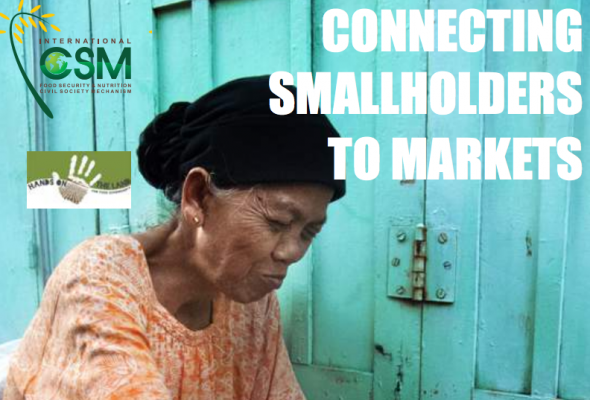 The new publication ‘Connecting Smallholders to Markets’, partially funded by Hands on the Land, supports advocacy efforts by social movements on market issues by making the recommendations adopted at the Committee on World Food Security more understandable and accessible. The guide ‘unpacks’ and explains the key concepts contained in the recommendations and explains what is behind them and why they are important. It should also help to stimulate and support the great deal of additional discussions and work that social movements need to carry out in this essential area. More than fifty organisations from different constituencies and regions contributed to this work, demonstrating the importance of this issue for small-scale food producers.